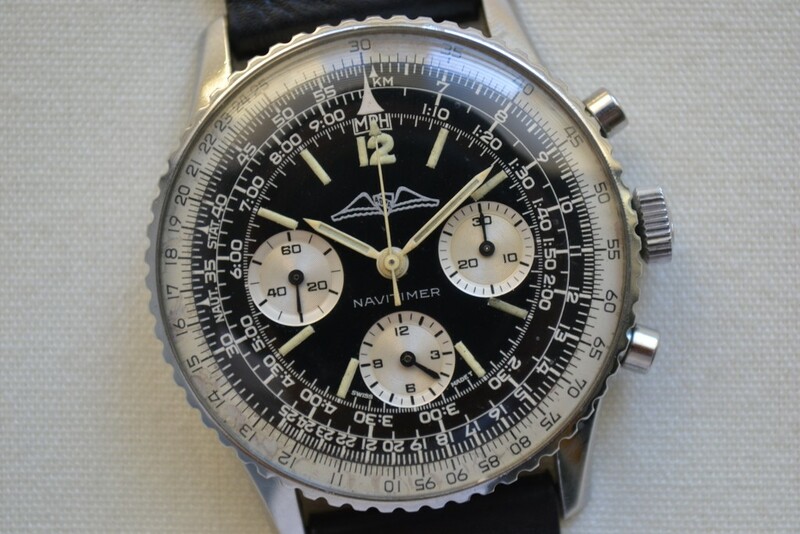 Offered for sale is a beautiful example of the classic ref. 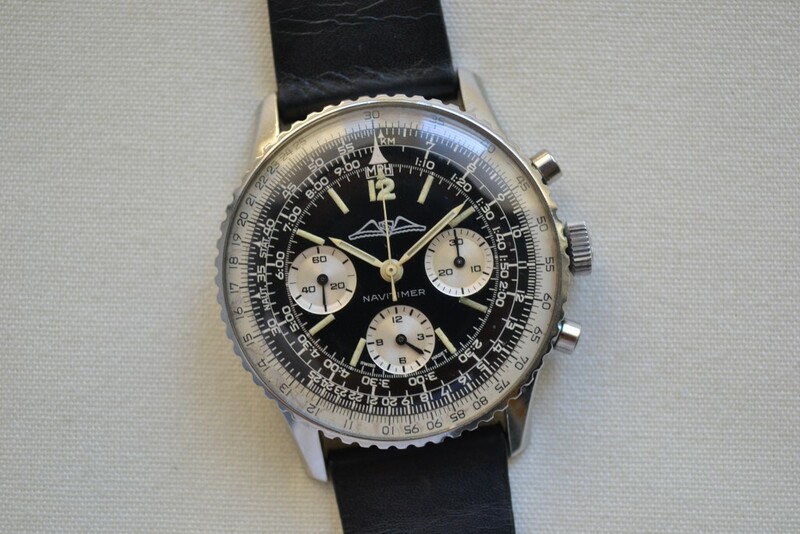 806 Breitling Navitimer in great condition. 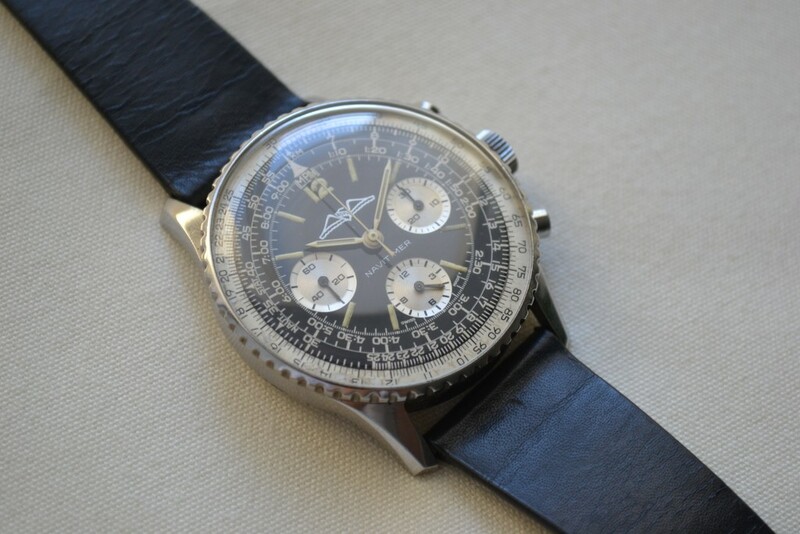 Dial: The original black AOPA silver gilt dial is in good condition and retains its gloss. 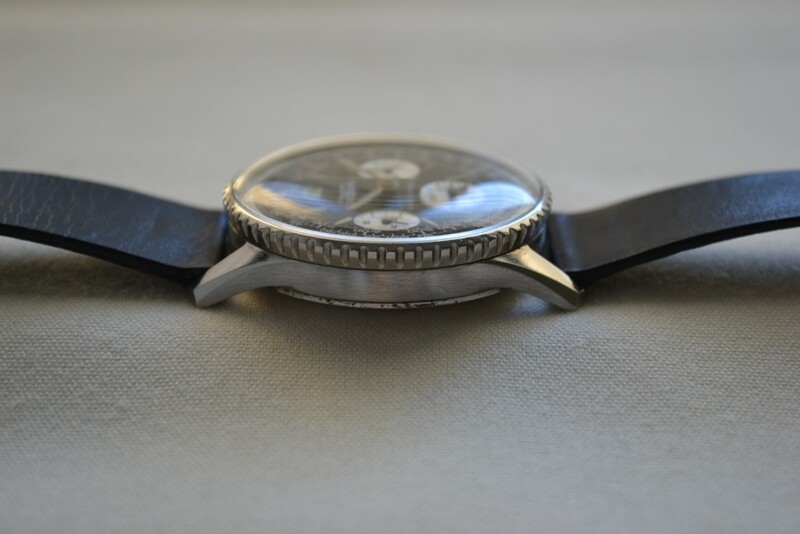 The dial/inner bezel shows some light signs of aging, primarily along the outer edge. 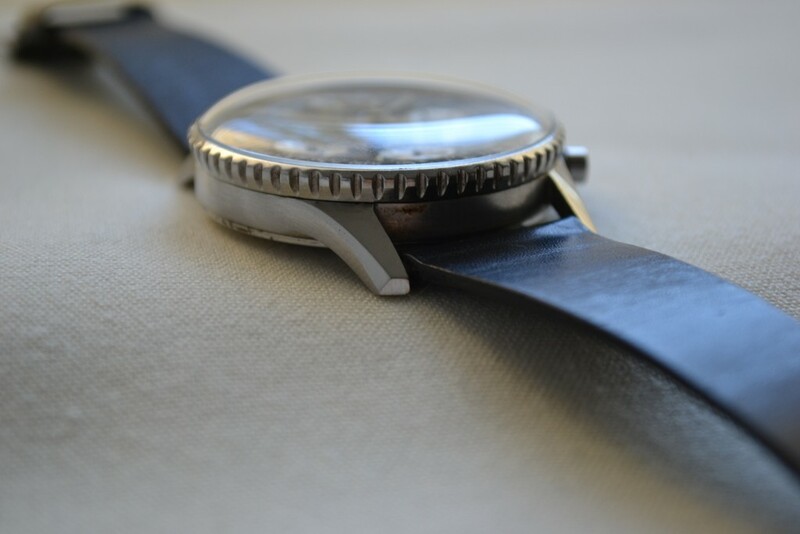 Case: Stainless steel case is in great condition and remains thick and well defined. 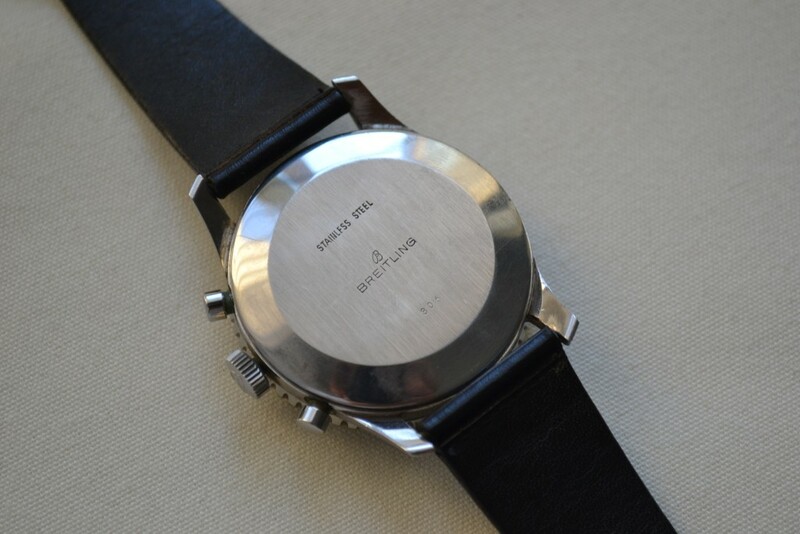 Reference and serial numbers are visible on the case back. 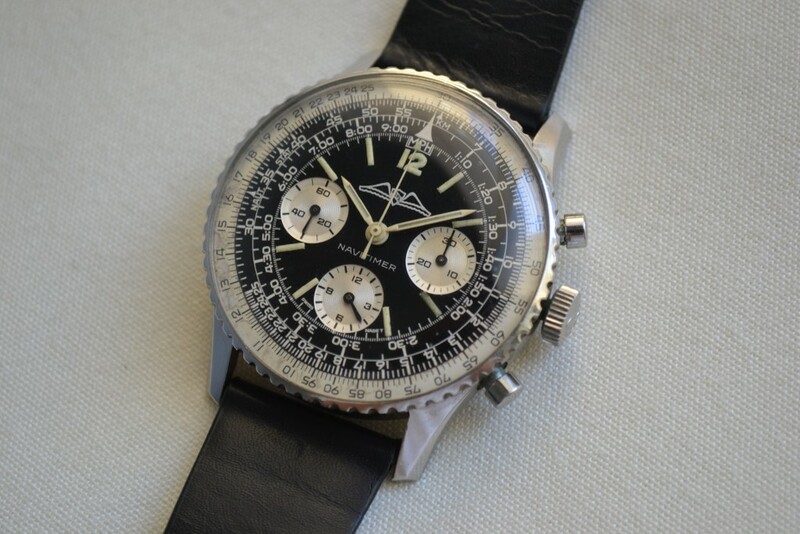 Strap: The watch comes fitted on a black leather strap. 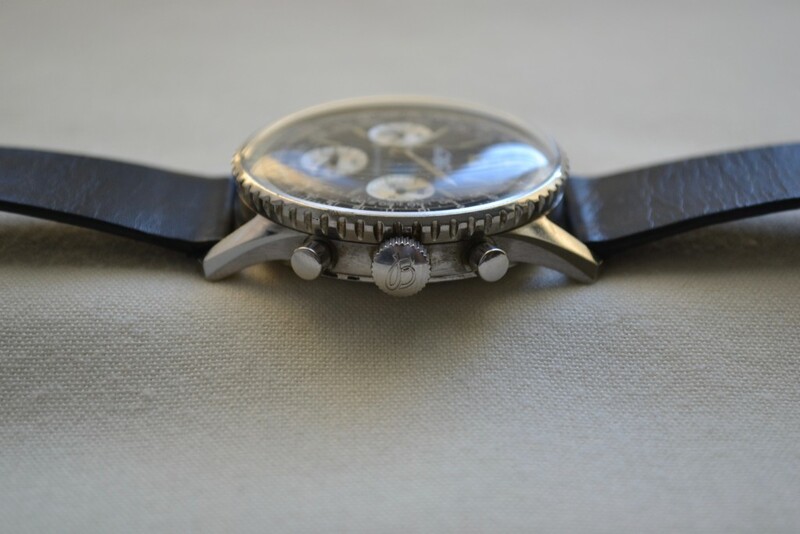 Additional: The watch currently runs and keeps time, however the center subdial doesn’t reset. No additional accessories are included. Asking $6,450 by wire (or check deposited to my bank account) shipped and insured within the US or face to face in the Los Angeles area. International shipping available at an additional cost.